In this episode of the View 902 podcast Paul Kimball is joined by author, journalist and activist Silver Donald Cameron to talk about his most recent book, Warrior Lawyers – From Manilla to Manhattan: lawyers for the earth, which contains a series of interviews that Don conducted with people around the world who have used the law as a tool to achieve environmental justice. They discuss the concept of natural law, and our duty of care as human beings to the planet and to the creatures with which we share it, and talk about a couple of examples from the book of lawyers and others who have engaged in citizen activism and used the law to combat corporate wrongdoing and change government policy on the environment. Paul ends with a song he wrote way back in 1991 and recorded, but never released, with his band Julia’s Rain in 1995. Called “Shadows Grow”, it is sadly even more relevant today than ever. 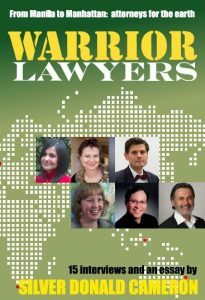 “Our pockets kill the fields” is still true, but thankfully folks like Silver Donald Cameron and the men and women he interviews in Warrior Lawyers are making a real and vital difference. One of Canada’s most versatile and experienced professional authors, Silver Donald Cameron is currently host and executive producer of The Green Interview, an environmental website devoted to in-depth conversations with the activists who are leading the way to a green and sustainable future. His literary work includes plays, films, radio and TV scripts, an extensive body of corporate and governmental writing, hundreds of magazine articles, and 17 books, including two novels. He was Dean of the School of Community Studies at Cape Breton University and has taught at Dalhousie University, the University of British Columbia and the University of New Brunswick. 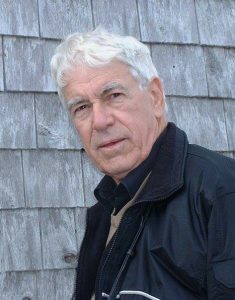 He holds a Ph.D. from the University of London, and in 2012 received both the Order of Canada and the Order of Nova Scotia.